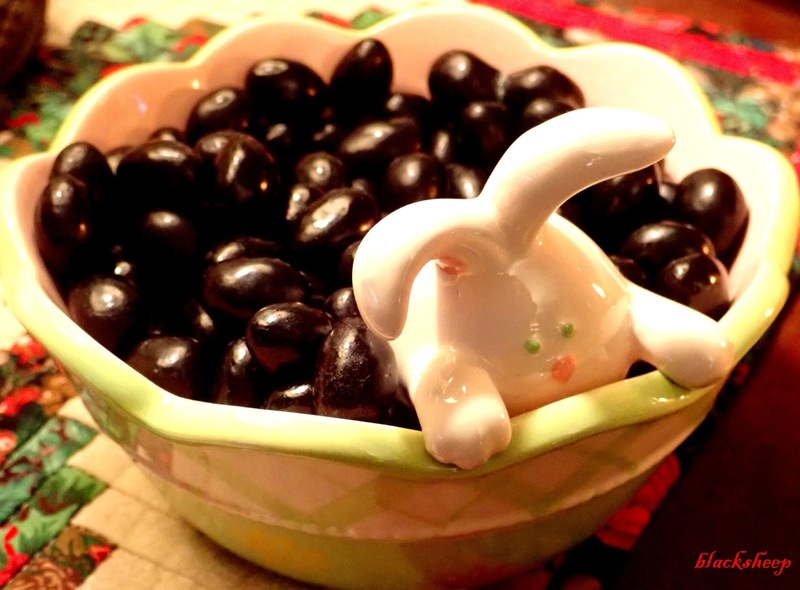 ... a delicious bag of Black Jelly Beans... my favorite!! So I filled up my Easter candy bowl and now I'm all set for the Season! That's all for today sports fans, thanks for stopping by do stop again! My mom - who passed in 1987 - LOVED black jelly beans. I must have inherited the genetic disposition for them..... I love them too. And I ADORE your bunny bowl. Too wonderful! The black ones are my favorite also. Sheep Virtues is coming along nicely....such a pretty choice of fabric. Looking for to seeing this one completed. Please let us know what frame you choose. Your bunny bowl is adorable. Edgar, I thought of you last night as I was leafing through the Vermont Country Store catalog as they sell bags of black jelly beans. Now I do enjoy the black jelly beans but my little next door neighbors(age 4 and 6) give them back to me! A Little Stitching and a Winner! !